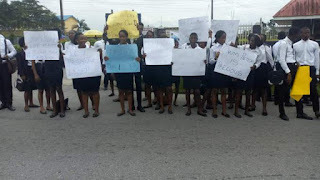 The University of Calabar, UNICAL Law Students has embarked on an appeal visit to Cross River State Government House to appeal for the sum of five million Naira (NGN5, 000,000) to foot the medical bill of one of their classmate. The Students, 300 level visited the Governor’s office on Monday morning appealing for the Governor’s help to help treat one of their own, Orim Peter, who is battling with Liver problem. According to Calabar Reporters, Orim Peter is a third year student of the Faculty of Law, University of Calabar and hails from Obudu local government area of Cross River State. 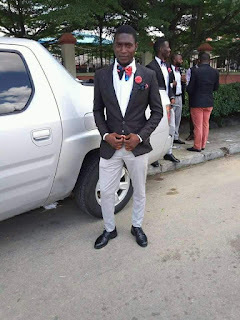 He was recently diagnosed of a liver ailment, and due to this, he is currently not partaking in the Second Semester Examination of the Faculty of Law with his mates as a result of the liver ailment. He was taken home for local treatment, which did not yield any positive result. He is currently bed ridden at home. Orim needs about about N5million for Treatment at the National Hospital, Abuja. Orim’s Family has no money to foot the operation and as such needs help from the general public, philanthropists, high spirited individuals as well as corporate organisations to enable him carry out the operation. Any donation will be highly appreciated.